Tanita’s ‘Move, measure, motivate’ healthy living book provides a whole new approach to getting fitter, healthier and happier. A new guide to how to efficiently monitor body weight and muscle mass to get and stay fitter and healthier has been published by Tanita, world leaders in body composition monitors that help health and fitness. Providing a whole new approach to getting fitter, healthier and happier in 2018, Tanita’s ‘Move, measure, motivate’ healthy living book is designed to help transform the way people tackle their approach to fitness, address diet and cope with the pressures of daily life. 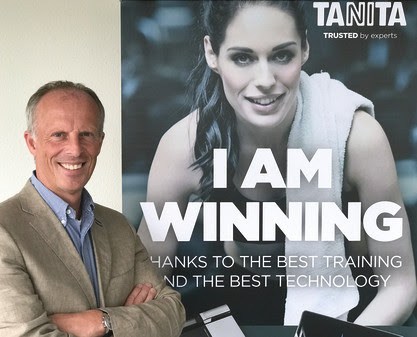 “This new book from Tanita will inspire everyone , young or old, female or male, thin, fat or middling, to get fitter and healthier by following a straightforward and fun program of body measurement monitoring that will help them become healthier and feel happier,” said Jan Alderlieste, chief operations officer, Tanita Europe BV. He noted that Tanita’s life lessons based on over 70 years of body monitoring research are reflected in the book. Tanita believes that achieving a fitter, healthier you doesn’t demand massive changes – just a focus on four simple steps to increase your level of body awareness. The steps encompass learning to eat a sensible, well-balanced diet, increasing your exercise routine, monitoring your body composition regularly, and adjusting and fine-tuning diet and training based on goals and the results being achieved. 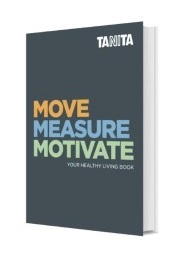 The Tanita ‘Move, measure, motivate’ book reveals in an easy-to-read format how people can achieve a healthier lifestyle. It includes a monthly chart that enables readers to record reading from a Tanita Body Monitor such as the Tanita BC-730 Smart Scale, which greatly simplifies how to monitor changes in body composition. Jan says that the book will help people achieve a better life balance and greater fitness using a combination of exercise, food science and body monitoring. “If you are serious about achieving a transformation in your body, the key to success is to focus on building muscle, staying hydrated and reducing body fat. You need to turn away from thinking ‘weight loss’ to instead embracing ‘body composition’, which will put you in control of your body, fitness and health,” said Jan. The Tanita book is available free to anyone in the UK purchasing a Tanita body composition monitor in John Lewis, Powerhouse Fitness and other leading stores in the UK between December 2017 and July 2018.